You can make whole wheat pasta at home. After finding a pasta maker in storage, the husband and I started experimenting with actual success. We made delicious whole wheat pasta at home without an Italian grandmother. 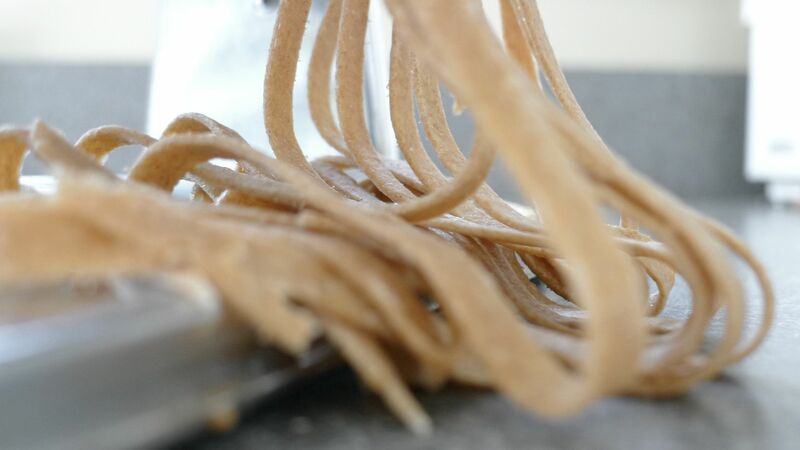 Homemade pasta has an amazing, warm and robust wheat aroma. Eating it plain actually tastes like something! Making your own pasta gives you the freedom to make whole wheat pasta in any shape or size your little heart desires. 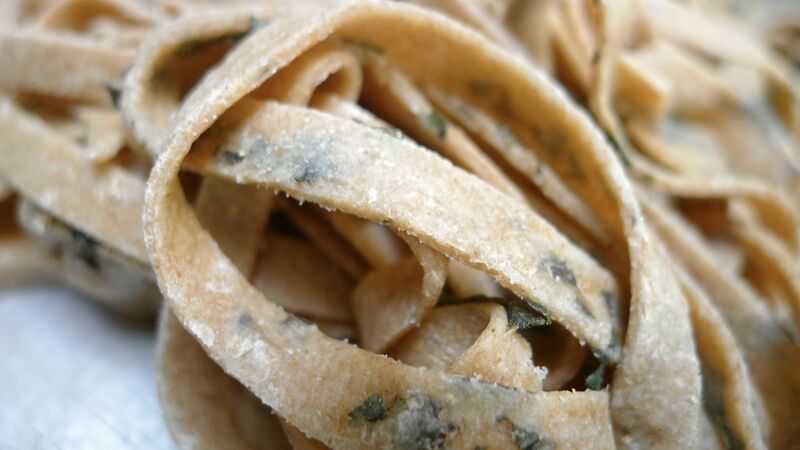 There's so much room for experimenting and we've recently tried spinach and herb whole wheat pasta. Directions: Whisk olive oil and egg together. 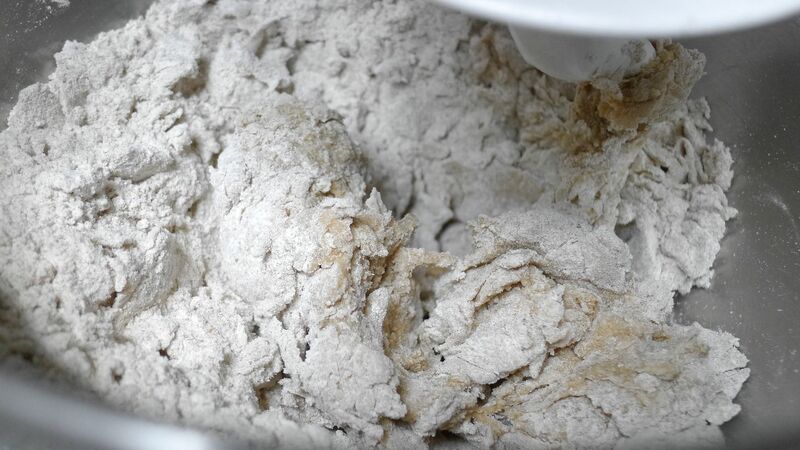 Create a well of the flour in a mixing bowl. 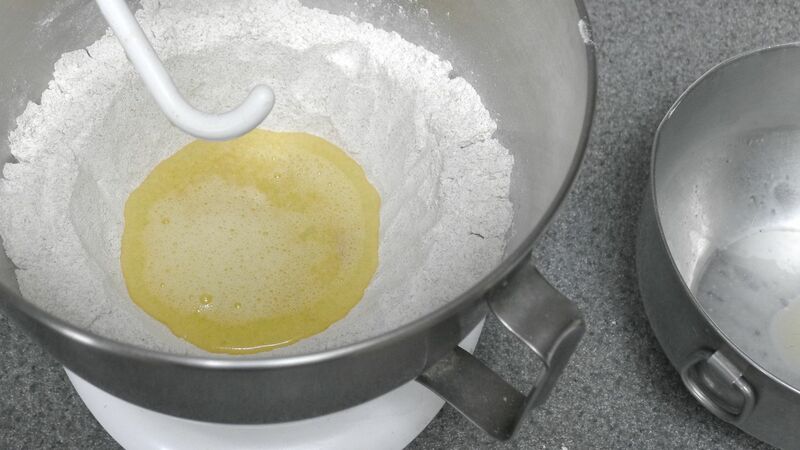 Pour egg mixture into the center of the well and mix with the dough hook attachment, or begin to mix by hand. If you mix by hand: There will be a point where you may panic and think you need to add more flour. You don't! 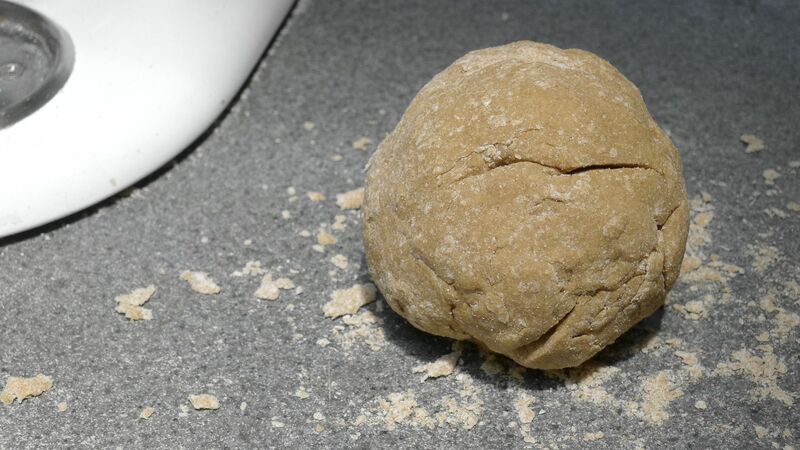 Keep going, keep kneading and the dough will come together. If you mix with your mixer: There will be a point where you think you need to add more liquid. Again, you don't. Keep going. Take the dough out of the bowl and work it on your counter, gathering the crumbs into the dough. It is nearly impossible to over work this dough. Continue to fold and press the dough until it becomes smooth. The texture should feel similar to playdoh. When you press your thumb into the dough, there should be no spring back. Cover and rest for 30 mins. Flour a surface and roll the dough into an oblong shape. 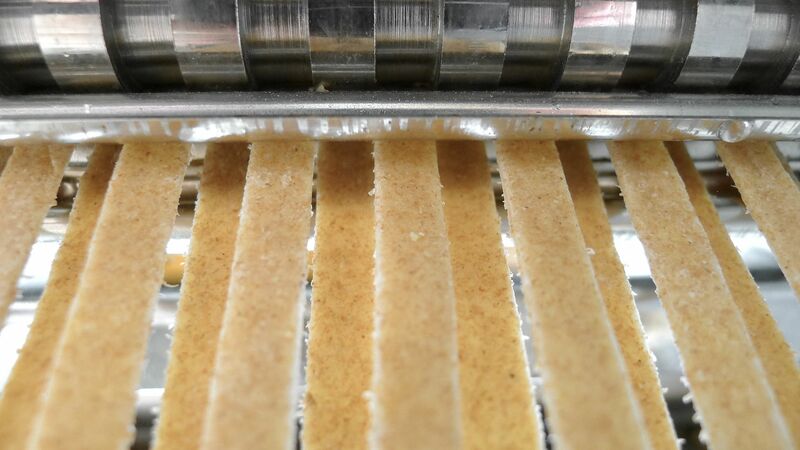 Fold into thirds length wise and feed into the pasta roller on a diagonal. Continue to roll, selecting thinner settings until you reach your desired thickness. I started on the #1 setting and went until #4. If you want to store your pasta, place it in an airtight container for a few days in the fridge. If you want to freeze it, store in an airtight freezer bag. If you want to cook your pasta, have a large pot of water boiling while you roll the pasta. It's important that water is at a rolling boil! Place the pasta into the water for about 3 minutes to cook. Taste pasta for doneness. Are you up for the challenge? Can you be a pasta making healthy hostess?